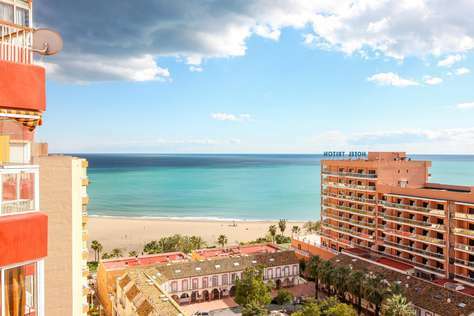 The privileged location of this beautiful apartment of Benal Beach in one of the most beautiful areas of Benalmádena makes it one of the most impressive resorts of the Costa del Sol and Spain where you can enjoy an intimate vacation or family. 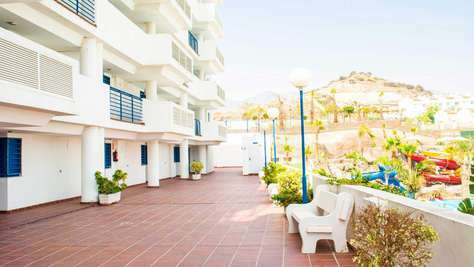 The holiday apartment for rent offers 1 bedrooms and 1 bathroom with access to the terracce from the lounge and main bedroom. Main bedroom: 1 king size bed with AC + ceiling fan. It has direct access to the terrace. There is a built-in wardrobe. 1 Bathroom:shower, sink, vater. Without videt. There is a hair dryer. Amenities (gel, soap, shampoo) + toilet paper are provided for approximately 1 week. American kitchen:coffee machine, washing machine, oven - grill, kettle, juicer, toaster. Living room: TV, board games (cards, patches, etc). 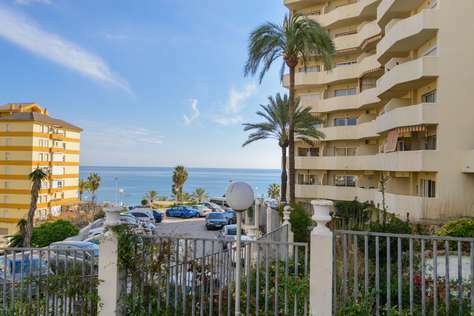 Views: seaview to the right and it overlooks the garden of the urbanization of BenalBeach.